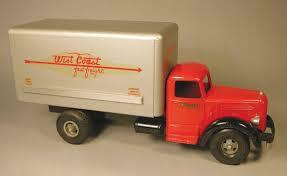 DIECAST TRACTOR TRAILERS AND TRUCK REPLICAS. We are working on adding pics of 20 years of Diecast Tractor Trailer pictures and also working on our new website. Be Sure and check back for updates. Most Die cast models today are geared toward Adults with highly detailed Precision replicas and also for advertising. A lot of the 1/87th scale are produced for advertising giveaways because of the low cost to produce them. In early 2000 there was a resurgence of the die-cast replica due mainly to the targeting of the collector market for truck sales. Many of the trucks were produced for the collector market alone. There was even a line of Fallen Flag trucks produced by www.LittleBigTrucks.com and were done to commerate many of the companies from years gone by. Shortly after that, several other companies got on the band wagon and produced some of the older companies as well. I started collecting diecast trucks at a early age and started selling some of them about 1998 when I became over run with die-cast trucks. I worked with a few other producers and we created quite a few trucks on our own, through several of the different Manufacturers. One of the first productions, by LittleBigTrucks.com was a refrigerated Preston 151 truck produced through Die-cast Promotions and then they produced quite a few other trucks after that. There are several different size replicas trucks available from a variety of companies. I have included a listing of various sizes and manufacturers below. These companies were still in business at the time of this writing, except for Hartoy. Hartoy closed its doors in about 2001 or so and shortly thereafter, Tonkin Replicas bought out there molds and right to their trucks and started producing them through Tonkin Replicas. Winross was also bought out by a fellow by the name of Dave Lowe and later went out of business. It was later bought by another company and from what I understand, as of 2008 Tonkin Replicas started producing the Winross line and made some vast improvements on some of their models. 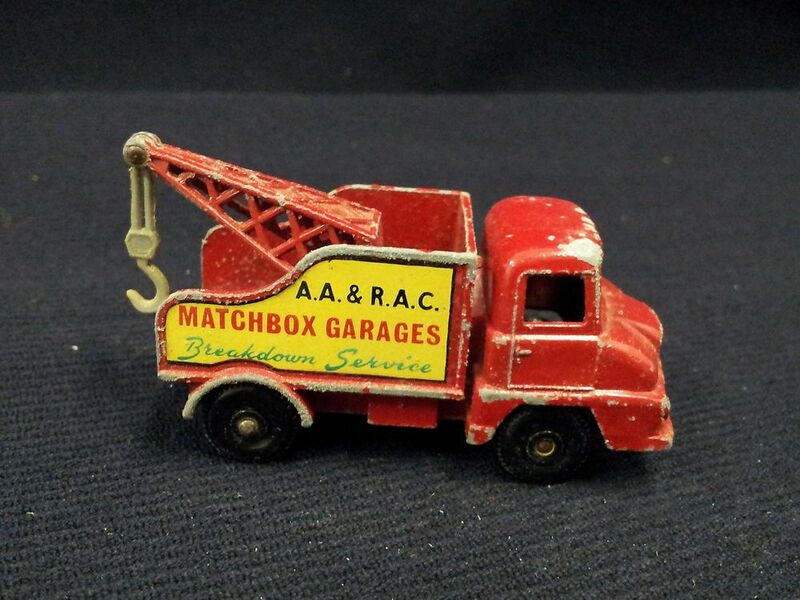 Some of the first model trucks and cars were made starting in the late 40’s and early 50’s. 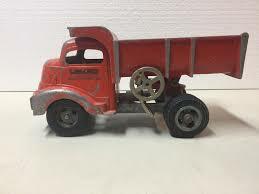 Lesney started making matchbox cars and truck in the late 40’s and Tonka was making a stamped, or pressed steel trucks and tractors in the 50’s as was Smith Miller trucks produced by Smitty Toys. The original Die-Cast models were fairly crude without all of the details of today replicas, but they were produced cheaply as mainly an advertising media. They were also a lot harder to find and collect because very few of them were geared toward the collector market. Die-Cast Tractor Trailer collecting probably started in the US in the late 60’s, or early 70’s when Winross began making Diecast Tractor Trailers and trucks for advertising. The first Winross trucks were produced as retail toys beginning in the early 60’s and by about 1978 they quit producing toys and went after corporate advertising accounts. Another company Ertl was founded in 1945 by Fred Ertl, SR. and started off producing mostly farm toys and later acquired many other companies such as Carter Tru-Scale, Structo Stamped Steel, AMT model kit company and later is itself acquired by Racing Champions. 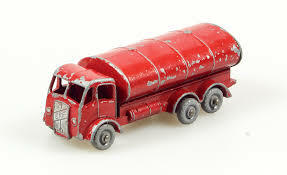 There were quite a few manufacturers of early diecast trucks and some of the most known were Winross, Ertl, Hartoy, SpecCast, First Gear, Matchbox, Dinky, and later Corgi, Tonkin Replicas, Die-cast Promotions, DG Productions and others. I started collecting diecast trucks at a early age and started selling some of them about 1998 when I became over run with die-cast trucks. I worked with a few other producers and we created quite a few trucks on our own, through several of the different Manufacturers. One of our first productions was a refrigerated Preston 151 truck produced through Die-cast Promotions and then we produced quite a few other trucks after that.